Houseless, not homeless! : The UK and the British Isles have those struggling even with many elements of Socialism - Houseless, not homeless! The UK and the British Isles have those struggling even with many elements of Socialism - Houseless, not homeless! Children are children no matter the race, religion, wealth, or where they reside - or lack thereof. We as adults should either start acting like responsible adults, or how about we turn over control to the more innocent ones - the children -, who might just surprise us. So called, civilized/industrialized,free countries seem to not be insulated from abusing the young and/or causing pain in their lives. Not only are families and singles in countries that are under war conditions and so called "developing nations" experiencing children living "Houseless", but "The Hosueless" condition affects thousands, upon thousands of those in the United States of America, as well as, the UK and the British Isles. Recent events in the United States of America with harm being done to children is of no fault to any sort of item(s) and/or object(s) used in any harm. It is simply our unwillingness to actually take time to nurture, care for and involve ourselves in the lives of our young. It is so easy to point blame, but instead let's start being about fixing our problems instead of just venting air past our lips. Children all around the world go hungry, sleep without adequate shelter, loose out on their younger years of playing as a child and even so much more for the one simple truth that we as adults seem to know what is best. But, there is a catch! Adults have learned whether through academia and/or life skills that profit/gain/control gives you happiness. Really now! What about the reaction a person sees when a child is surprised, completely surprised? I am sure you know these times. Aren't they just breathtaking? Why and how then, can adults even make any decision without adding into the equation, children? Adults, it is way past time we act as adults, and stop ruining children's futures everywhere. Children don't naturally want to kill! Children don't naturally want to rob! Children don't naturally want to do harm! So, let's all work together with the children, as well as, the young to at least do our best for a grand future. Love children in a clean, natural compassionate way as if their future depends upon it. It does by the way! EDINBURGH toddler Aiden's letter was a simple request: ”Dear Santa, please can I have a house with my own bed? Love, Aiden.” Sadly, there are more than 5300 children across Scotland who will wake up on Christmas morning with no home to call their own. Natalie Cassidy pictured with her 4 year old son, Aiden. They are currently staying with her mum in Edinburgh after being made homeless. WHEN four-year-old Aiden Cassidy was asked what he wanted from Santa, his response brought his mum Natalie to tears. When she posted it, Natalie hoped Aiden’s wish would come true, after months sharing a bed and a room with her son at her mum’s house. Natalie said: “All I want for us is a proper home. Somewhere my little boy can lay his toys out, somewhere he can have space, somewhere we can have our own Christmas tree and somewhere my child can have his own bed. There are more than 5300 children across Scotland who will wake up on Christmas morning with no home to call their own. Families throughout the country are living in cramped, sometimes damp, sometimes dangerous accommodation. As part of charity Shelter’s Christmas campaign, 2000 signatures, in the form of letters to Santa, were presented to the Housing Minister Margaret Burgess MSP yesterday, urging the Scottish Government to introduce minimum standards for property housing homeless kids and their families. It comes after Shelter Scotland took to the streets to highlight the plight of homeless children. Shelter say thousands in Scotland will wake up at Christmas in temporary accommodation such as B&B hostels or accommodation that is too often unsuitable for kids. Yesterday, we told the story of one-year-old Riley and his mother Lorraine McIntosh, who live in a cold, rundown flat with only a two-bar electric fire for comfort. Glasgow City Council manage the flat and pay the private landlord £210 – but then they charge £834 a month, which is paid for by the taxpayer through housing benefit. 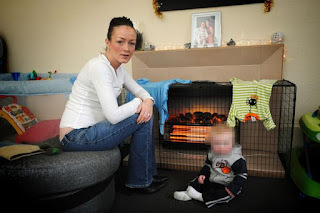 Natalie tried her best to give Aiden the home he needed by moving into an unfurnished private let bungalow in Edinburgh in April 2011.
mould, damp and condensation and reported it to her landlord, who inspected it but did nothing to sort the problems. His advice to Natalie was to keep her windows open at all times. She contacted Edinburgh City Council’s Environmental Health department but they couldn’t find the source of the dampness. Frustrated, Natalie paid for two surveys and they found stagnant water under the property. She also contacted the Private Rented Housing Panel but still her landlord took no action. Natalie was in a six-month lease with £650 per month rent for a sub-standard property. Aiden has been hospitalised as a result of the damp and has developed asthma. Children in bad housing are twice as likely to develop health problems. Natalie has suffered hair loss through stress and has been referred to a neurologist for a serious eye complaint. The damp hit Aiden’s bedroom hardest, destroying furniture, his new bed and mattress, clothes and toys. The council offered her temporary accommodation in a rundown area at the other side of Edinburgh from Craigentinny, where Aiden is in nursery. And Natalie had heard so many horror stories about temporary accommodation that she didn’t want to get stuck in a rundown home for months. Natalie’s mother’s house only has space for the mum and toddler to share a room. Her brother, who was living with her mum, took the couch to give them a bed. All of Natalie’s furniture is now in storage. The rent to the landlord continued to be paid a month after they moved out because she had signed a lease. Natalie is on the main Edinburgh Council waiting list but there are 25,780 households and only 1609 new lets were available in 2010-2011. This means that it would take 16 years to clear. An Edinburgh City Council spokesman said: “We do everything in our power to prevent homelessness but there is an acute shortage of affordable homes in Edinburgh. The charity’s Gordon MacRae said: “Scotland’s chronic housing shortage is forcing too many homeless children to live in cramped, or damp and sometimes dangerous housing. If there is will on all sides, together we can end Scotland’s housing crisis for good. “With less than a week to go until Christmas, we urge the Scottish Government to not delay further the introduction of legally enforceable, minimum standards in temporary accommodation. MARGARET Burgess said she was "deeply concerned" after reading our story about one-year-old Riley McIntosh's living conditions in temporary accommodation. HOUSING Minister Margaret Burgess yesterday responded to our story about Riley McIntosh and insisted the Government are addressing the issues over accommodation. unacceptable that anyone should reside in a cold and rundown property, and all the more so when there is a young child involved. Scotland, and to address issues like this surrounding the use and standards of temporary and permanent accommodation. “These will remain key priorities. While evidence suggests that the vast majority of temporary accommodation used by local authorities is of a good standard, one family in a situation like Lorraine and Riley is one too many. “That’s why I have written to Shelter Scotland’s Graeme Brown to ask if he will help us to establish a clearer picture on standards in temporary accommodation – to ensure we help people like the McIntoshes. “More importantly, we want to stop situations like theirs happening in the first place. See, "Last Class Citizen" does not only happen in the United States of America under a Constitution republic/democratic, capitalist system of rule, but also about the UK and the British Isles which the welfare state, equal opportunities, etc, can be argued that there are many elements of Socialism. 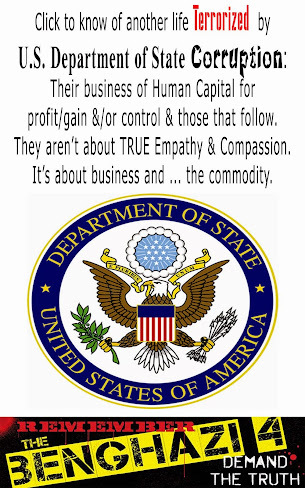 Many core socialist values are economic and Britain is economically capitalist.